Ancient Greek Sandals, now available at Workshop, are inspired by ancient Greek Gods, myths, pottery, jewelry, and sculpture. 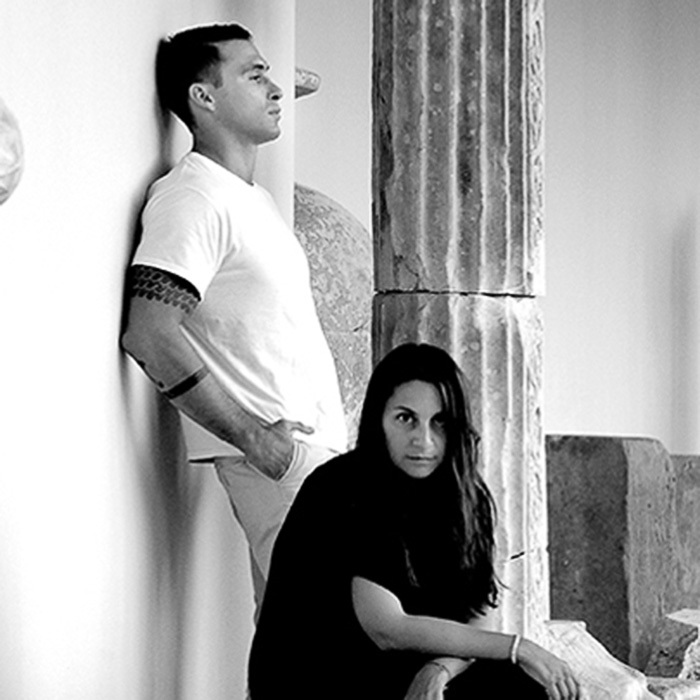 Co-founded by Christina Martini and Nikolas Minoglou with a concept that goes beyond trend. From the start, they decided to follow their own path. Christina’s simple and elegant designs start with research through museums and books, which become the myths and stories in her mind for the sandal. Named after ancient Greek Goddesses, Muses, nymphs, and mythological creatures, the sandals become a functional and beautiful piece of history. Inspired by the history of Greek sandals design and tradition, Ancient Greek Sandals are handmade by local skilled craftsmen using techniques from centuries ago. The two love using leather because of its ability to become soft and beautiful with a developing patina that comes from age. The sandals are not only beautiful and versatile, but speak of the myth and history through aesthetic.